Do you believe in ghosts? If not, how do you explain multiple appearances of a woman long known to be dead? And when that same face haunts the area a century later? In 1908, Thea is a traveling post-mortem photographer seeking to find her history. Left at an orphanage as a small child, Thea desires to find her mother—dead and buried. But will that resolve her feelings of being unwanted? When Thea stumbles upon her own doppelganger, it only leads to more questions about her past. Heidi receives a mysterious letter from her estranged mother who is suffering from dementia. The secrets implied in the letter are enough to bring Heidi to the town where her sister and mother now live—a town she believes she has no ties to. But upon arrival, Heidi wanders through a shop and stumbles upon an antique photo album. Inside the album is a picture of a woman who looks just like Heidi. Who is this woman, and is there a connection between this photograph from the past and Heidi’s family? The descriptive writing was wonderful. I felt fearful on the path through the woods and in the dark streets of the early 1900s. The characters were unique and quite likeable. There were a couple of spots where I had to concentrate to keep straight the who’s who of the historical characters, but it all was made clear—in an amazing way. I was impressed by the way this author tied all the mysteries into a tidy, satisfying bundle. This interesting time-hop weaves an intricate tale of ancient and contemporary doppelgangers, murder, and family betrayal. The story also delves into the stigma and treatment of mental illness—including the inhumane treatments of the past. Ultimately, it’s a story about finding fulfillment by focusing on our Creator rather than trying to find our purpose in life, and how God has gifted each of us—no matter how we might view our circumstances. It’s a tale of acceptance, forgiveness, and healing. This book kept me turning pages late into the night. I look forward to reading more from this author. I give this book FIVE stars and a big, fat zero on the blush-factor scale. 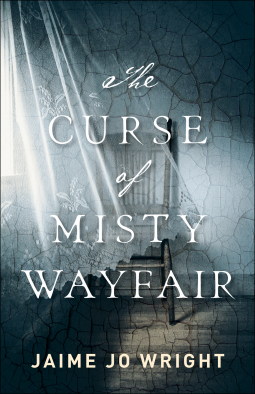 The Curse of Misty Wayfair released January 22. Bethany House Publishers via NetGalley. Sounds great! Oh how I’ve missed you old friend. I just came back and I’m so happy you’re still around!!!! I can’t wait to catch up! Hope all is well. Glad to see you're still around! I'm not here as often as I'd like to be. All is well. My other blog tells what we've been up to. 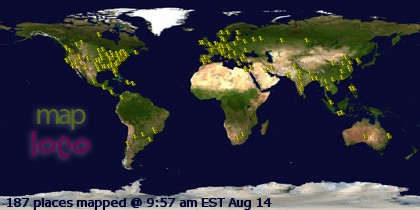 Live in Florida now!